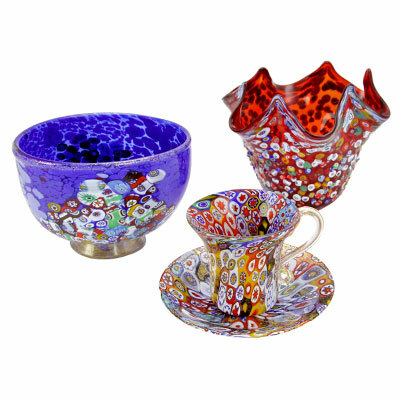 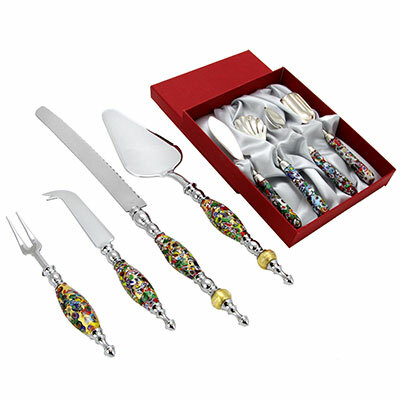 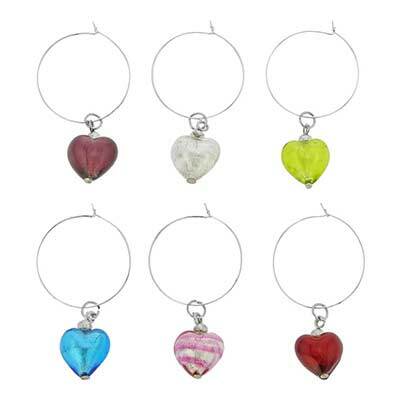 Murano Glass tableware, wine and bar accessories are immensely popular far beyond Venice and Italy. 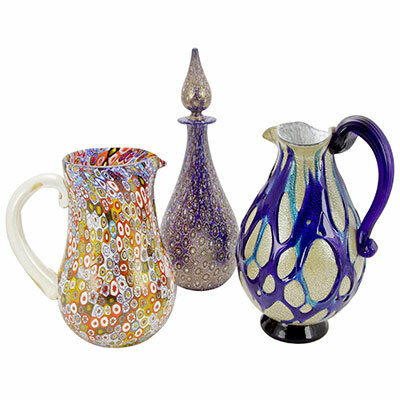 Handcrafted one-at-a-time using ancient methods and basic instruments, our beautiful bowls, plates, candle holders, pitchers, carafes and Murano glasses make every table look festive and full of color, in the finest traditions of the Old World. 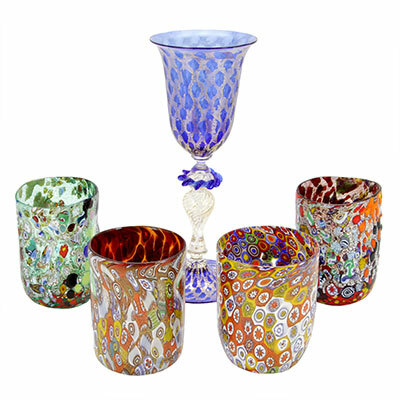 To make this fine Murano tableware, Murano glassware and barware, Murano artisans employed a variety of complicated glass-making techniques such as Millefiori, Cristallo, gold and silver leaf, and incorporated contemporary design trends, showcasing both their incredible skills and their artistic talents that come from generations of gifted Venetian craftsmen and artists before them. 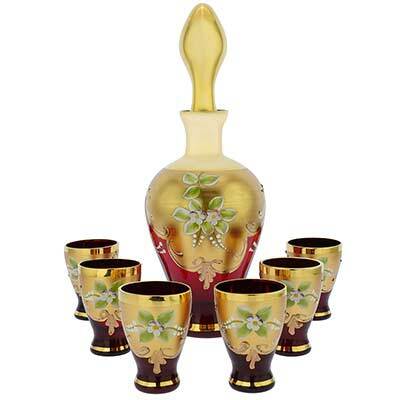 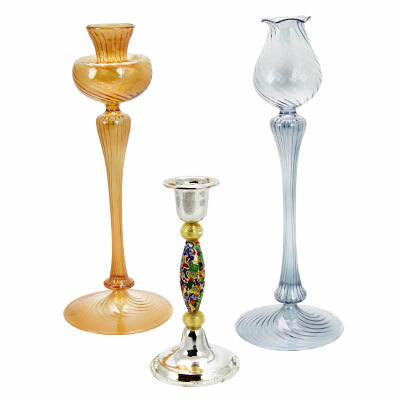 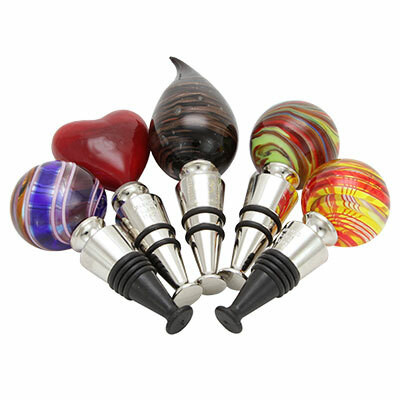 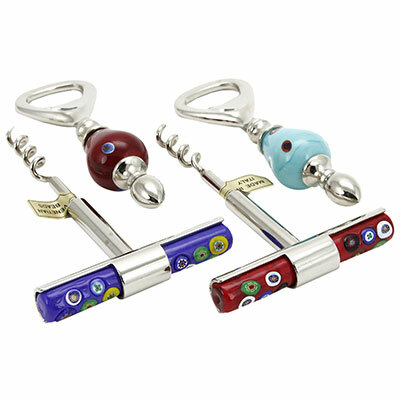 Whether you choose to accent your table with a grand Millefiori bowl, exquisite Venetian goblets, or something smaller like a fine Murano bottle stopper, your guests are sure to notice and appreciate the warm glow and artistic beauty of authentic Murano Glass.